Wholesale Personalized Stadium Clappers. Promotional, Cheap. Lowest Cost in USA and Canada. 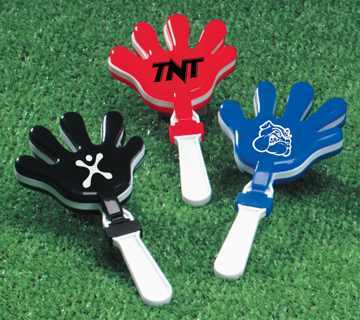 Wholesale clappers at the lowest prices in USA and Canada. Our personalized Clappers are loud and fun for everyone. Support your home team with their logo on the front and sponsor logo as the second side imprint.